I remember first learning about Dia de los Muertos (Day of the Dead) while living in California. The very first Halloween we lived there my coworkers talked about how they celebrated Dia de los Muertos on the day after instead. They were from central Mexico and explained that it had been celebrated there for over 2,000 years, but hadn’t migrated to the Northern part of Mexico and the Southwestern U.S. until the 20th century. Now I seem to hear about it more often. We’ve seen a couple big-budget movies as of late with a Dia de los Muertos theme and noticed quite a few sugar skull crafts on our Pinterest feed. Even some of Kennedy’s favorite doll lines have issued their characters dressed and made up as if they’re headed to a themed party. 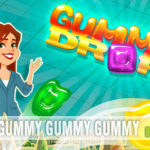 It should come as no surprise then that a game publisher has capitalized on the popularity and issued a new card game. 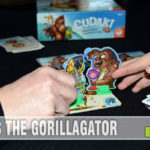 Steve Jackson Games, best known for their Munchkin line of games, recently released Muertoons. 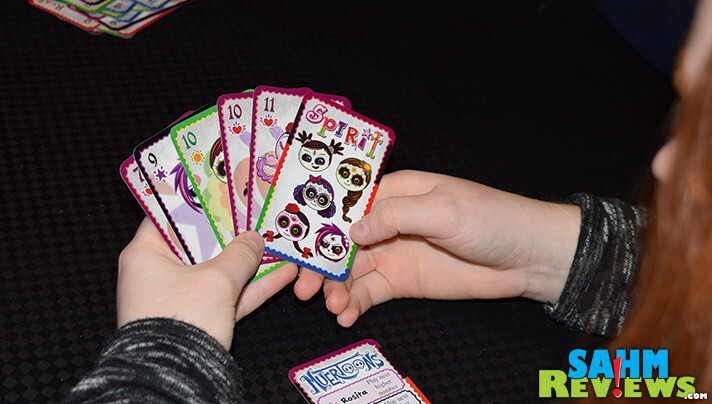 An inexpensive and colorfully illustrated card game, Muertoons is based upon the animated series by WV Enterprises. Founded by Wilmer Valderrama (Fez! ), WVE teamed up with the creator of Muertoons, Eric Gonzalez, to expand and further develop the Muertoons license. 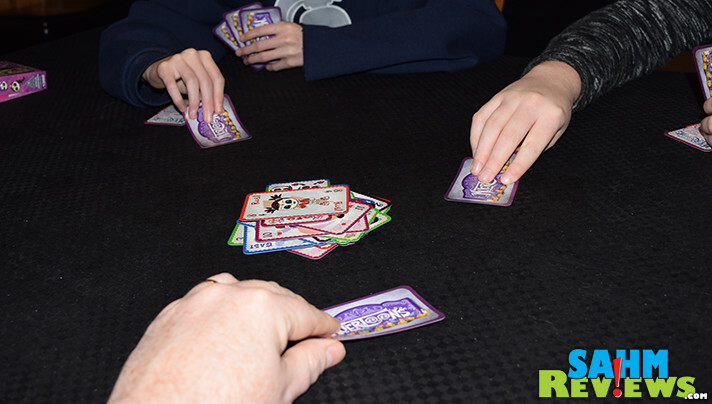 Designed for up to five players aged 10+ and lasting under 15 minutes, Muertoons is simple to learn and will remind you slightly of other classic card games like UNO. But there are enough differences to keep things very interesting and moving quickly. To begin, the entire deck of cards is shuffled and dealt out completely to all players, making an extra hand for Tio Rico, the greedy grouch that lived alone on the top of the hill looking down on Muertown. These cards are set aside and will not be used in the game, so at no point do you know which cards are left in players’ hands! Instead of suits, there are five different characters with numbers one through eleven and one Spirit card (wild). Whoever possesses the Rosita #1 card plays it to the middle of the table, thus beginning the game. What can be played next is determined by the last card played. 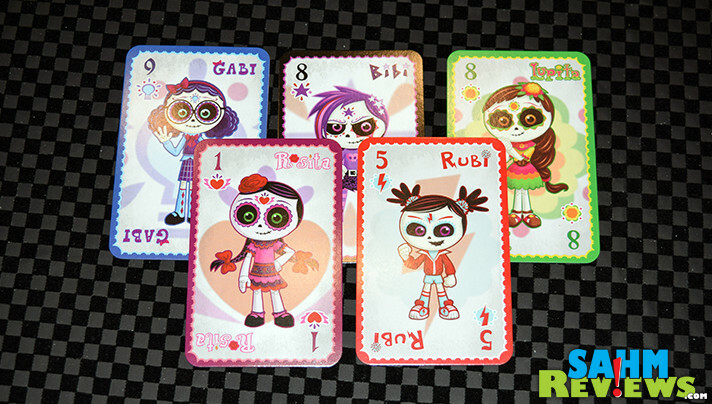 For any Rosita or Bibi card, you must simply play any card of the next highest number. If either a Gabi or Lupita character card is played, then the following card must be the same number or any Gabi or Lupita card, respectively. 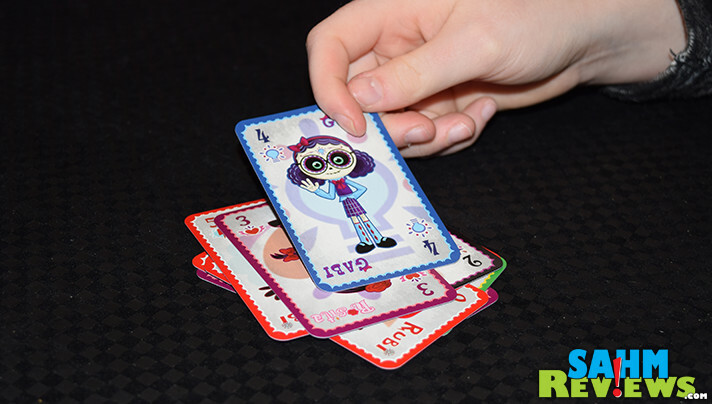 If the active card depicts Rubi, then a contest happens. Everyone chooses a card from their hand and lays it face-down in front of them. 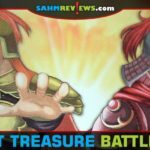 They are all revealed at the same time and the highest numbered Rubi card wins and takes the next turn. If someone plays the Spirit card, it beats all Rubi cards. 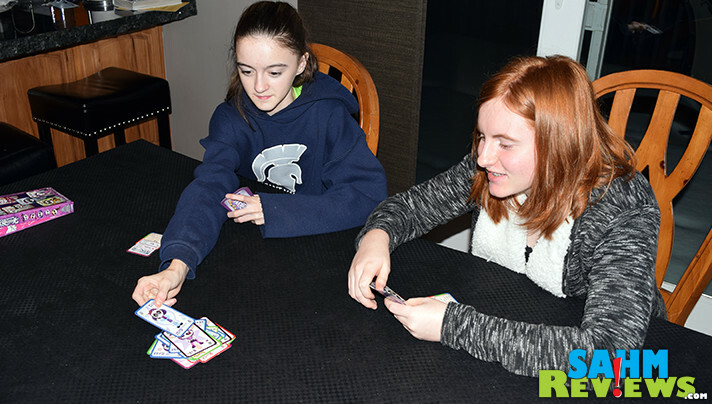 If no one played the Spirit or any Rubi cards, no one wins and play continues to the next person. The object of Muertoons is to be the first player to get rid of all their cards (no, you don’t have to call out “UNO” when you’re down to your last one!). You can pass your turn at any time, and must pass if you cannot play. If everyone goes around the table and passes, then the one to have played the last card gets to play any card, with turns continuing on from that point. And although advertised for ages 10+, Muertoons is a game that can easily be enjoyed by children as young as six or seven. The artwork is fantastic and true to the license. With the great price point (currently under $10 on Amazon) and ease of play, it is a perfect choice for a travel game or something more interesting than those classic card games you’re used to. Over on their website, Steve Jackson Games announced just two days ago that their next Kickstarter campaign will be for a space-themed gamed called Triplanetary, originally by GDW. Make sure you’re following them on Facebook and Twitter to find out when it will go live! Do you celebrate Dia de los Muertos? I think Day of the Dead is becoming more popular throughout the United States. I read through the instructions for this game and it sounds like it could be a fun game – one that I would play. The not-knowing what cards in Tio Rico’s hand are what make it interesting. 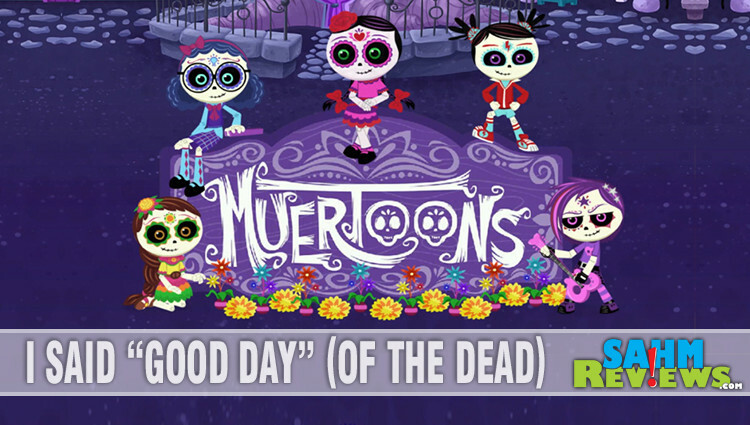 This is cute I am Mexican so all the day of the dead stuff I enjoy. The colors and drawing are pretty cool. 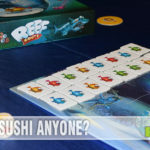 I like the sounds of this game, and the designs on the cards is really eye-catching. I have seen Day of the Dead things everywhere lately. 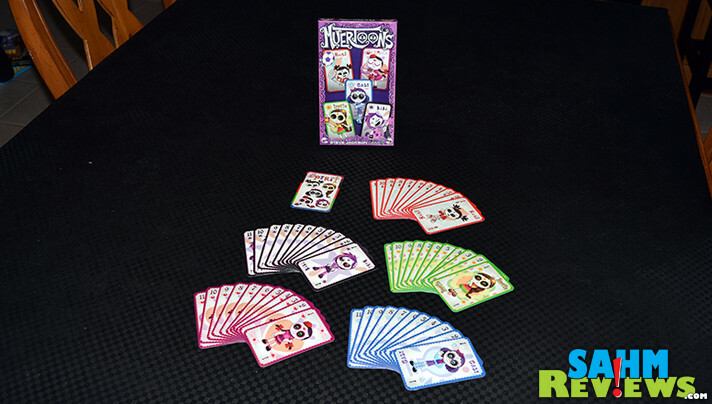 Muertoons Card Game looks fun! I’ll buy this for my nephews. They’ll love it! I’ve never heard about any of this before! Cards and game looks fun though! Nice and colourful too! It looks like a cool scary game! I just love stopping by and checking out the games you and your family play. My family usually takes your advice on wether we want to play a game our not. This one looks simple enough that my 2 can play while I am doing something like cooking or cleaning. And quick enough that we don’t get bored with the game!